Allow your customers to get shipping quotes directly on the product page! 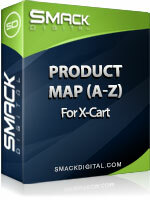 Does your suppliers have MAP restrictions on some of your products? Do they require you to advertise no lower than a specific minimum price? Then this mod may be your solution! This module is great for presenting your detailed images in a neat, dynamic lightbox / shadowbox on your site. Great for making more room on your pages for selling your products rather than displaying large detailed images. 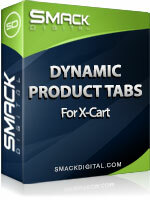 The Easy Variant View (Variant Chart) for X-cart replaces your existing drop down options for product variants. Instead, nicely displayed rows of each of the variants are displayed including their variant image if available. Improved Next and Previous buttons on your product pages. This module allows your customer to browse the next and previous products in the category they are viewing! No more browsing into other unrelated categories confusing your customers!